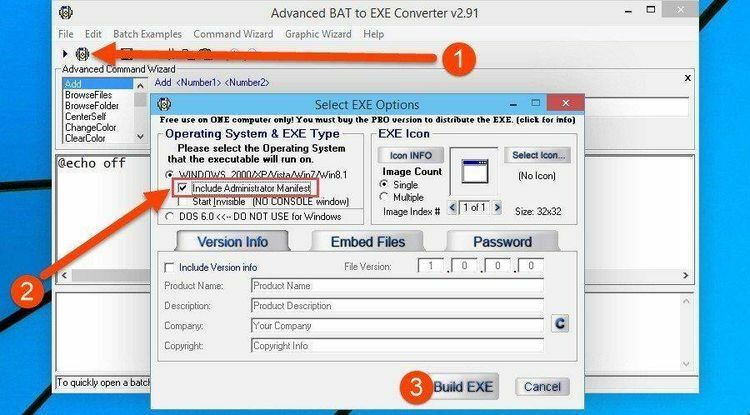 Converts .BAT files to executable .EXE Files. BAT2EXEC will increase both your productivity and satisfaction. encourage users to make even larger batch files. Unfortunately, however, batch files are also notoriously slow. echo each line to the screen as does the batch file, for example. Running other batch files does not cause the .COM program to end. on, the program simply terminates. reused instead of new ones being added.